Welcome to the second part in our series on company pension deficits. Today we’re going to look at things from the investor’s perspective. We’ll look at asset mixes, benchmarks and solutions, but let’s start with dividends. We mentioned last week that one of the reasons that investors are wary of companies with large pension deficits is that the required payments into the pension scheme eat up earnings and cashflow that could be earmarked for dividends. In practice, most companies pay out much more in dividends than they pay in to fix their pension schemes. 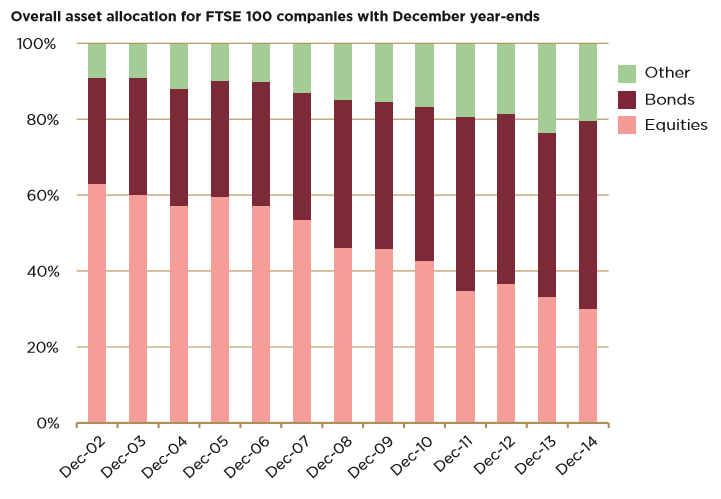 Many FTSE-350 companies have paid out more than 10 times as much. The ratio of “deficit recovery contributions” to dividends has gone down since 2010, from 27% to only 10% in 2015. Most of the change was down to increased dividends, rather than reduced recovery contributions. 20% of firms paid dividends but made no recovery contributions. It seems that companies are banking on rising interest rates reducing their deficits for them in the long-term. But as we saw recently, interest rates are still on the way down in the UK. Deficit recovery plans normally last ten years (though the BHS one for example was 23 years, and it’s likely that plans will get longer), which means that it’s quite possible interest rates will still not be back to normal when most current plans expire. The Pensions Regulator is not happy about the situation, and has been making noises that there will have to be changes to the deficit recovery plans. So that’s what’s actually happening, but what should the companies be doing? People regularly come up with the idea that companies with pension deficits shouldn’t be allowed to pay out dividends at all. As we’ll see when we come to look at company case studies, sometime firms do agree not to pay dividends without agreement from the pension scheme’s trustees (see for example. Aga). In contrast, the pension deficit is the difference between a real number (the current value of the assets of the pension fund) and a calculation according to arbitrary rules (today’s future liabilities discounted by an inappropriate rate). Not only is the discount rate inappropriate – corporate bond yields are used for the accounts, and gilt yields for trustees’ pension fund valuations, rather than anything based on real investment returns – but it also stretches out through time. Although pension fund liabilities will last for decades into the future – probably 30 years or more for most funds – a single snapshot discount rate based on today is used for the entire period. Neither is the range of rates which have been applied in the past – nor the range of rates which might be expected to apply in the future – taken into account in any way. The only day that matters is today. It’s a strange way to approach long-term investment planning. We saw a few weeks ago that US public-sector pension funds can determine their own discount rate, based on their expected returns from their actual asset mix. But this gives them an incentive to over-state returns, so it would be better to have an industry-wide set of discount rates based on set asset mixes, and possibly also on scheme maturity (eg. ratio of deferred to active pensioners or liabilities). Other parameters you could throw into the mix are the size of the deficit (as a percentage of liabilities) and the economic strength of the company to which the pension scheme is attached. So let’s talk about asset mixes for a while. As pension funds attempt to “de-risk”, they often take on a liability-matching approach. Back in 2006 pension funds were 60% invested in equities, and only 28% in bonds. By 2014 it was 35% equities and 44% bonds. And ironically, the more they buy bonds, the lower yields will go, which means that their deficits get bigger and they need to buy more bonds (and add more money to the pot). It’s hard to see the “risk-free” rate of 0.65% on the 10-year UK gilt as I write this – almost a record low – as truly risk-free. Frank Field is the chairman of the work and pensions select committee in the House of Commons. He has raised his profile in recent weeks with scathing personal attacks on Philip Green as the BHS pensions saga has unfolded. Prior to that he revealed plans to call for legislation to reduce the liabilities of pension schemes by cutting the benefits that have been promised to members. He also planned to restrict dividend payouts whilst significant pension deficits exist. Not only are these plans unfair on scheme members, it’s hard to imagine a government willing to reap the political consequences of trying to push them through. Applying these rules to public sector schemes would no doubt lead to mass strikes. In the private sector, mass transfers out of DB schemes into DC SIPPs would be likely, with potential damaging consequences for the DB schemes. While it is clear that the benefits promised in DB pension schemes now appear very generous, this was not the case when the schemes were set up. The fall in investment returns and interest rates, and the rise in longevity are what make them appear so. One small change that would help here would be forcing schemes to index benefits to CPI rather than RPI to index benefits. Another option is to offer deferred members a financial incentive – funded by the company rather than the pension scheme – to transfer out of the DB scheme, taking their liabilities with them. The rush to bonds as a de-risking strategy strikes me as a huge mistake. Portfolios with long time-horizons like pension funds should always be invested in a mix of assets, and certainly shouldn’t be concentrated in the lowest returning, most highly valued asset class. One day this bubble will burst, and it won’t look pretty. Using bond yields as the discount rate is also stupid. The projected return on underlying assets should be used. This could be modified by mandatory rules taking into consideration scheme maturity (ratio of deferred to active pensioners or liabilities), the size of the deficit (as a percentage of liabilities) and the economic strength of the attached company. Recovery periods are normally 10 years, and before the 2008 financial crisis, this must have looked reasonable. But we’ve already had 8 years of financial repression, and we could well be in for 8 more. Recovery periods need to be aligned with the expected recovery period for the economy as a whole. We need to avoid over-funding schemes before normal service is resumed. Extending recovery periods to at least 15 years would help. The UK faces a potential crisis in corporate pension schemes. But with a better asset mix, a more realistic discount rate and longer recovery periods, disaster can be avoided. 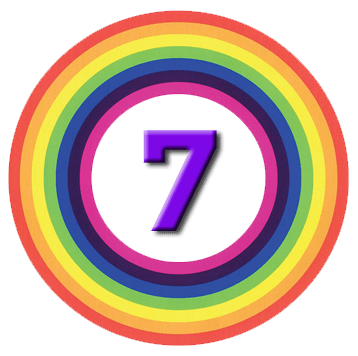 Next story DeGiro Stockbrokers – Everyday Value?